We have reached the end (or so many of us hope) of another crazy winter. Many records were set, particularly in Boston. In a six week period from late January through the first week of March, the northeast and parts of the mid-South were pummeled by storm after storm after storm. After a crazy November, December and the first part of January were relatively quiet. That all changed in the final week of January. 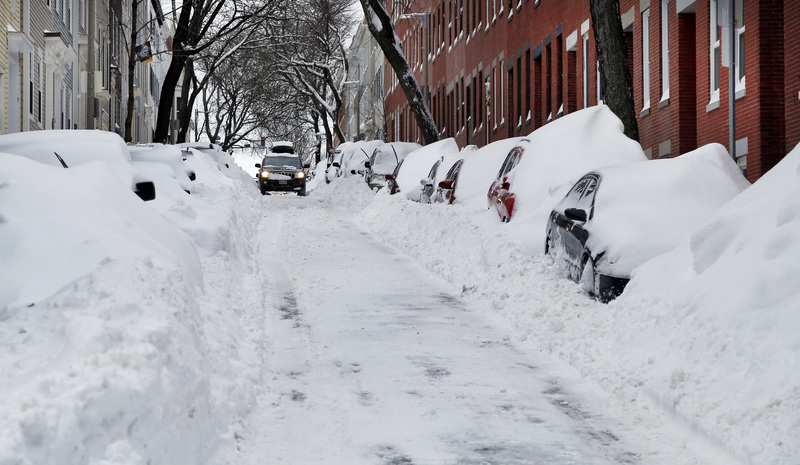 Buried cars in Boston’s Charlestown neighborhood after the late January blizzard. 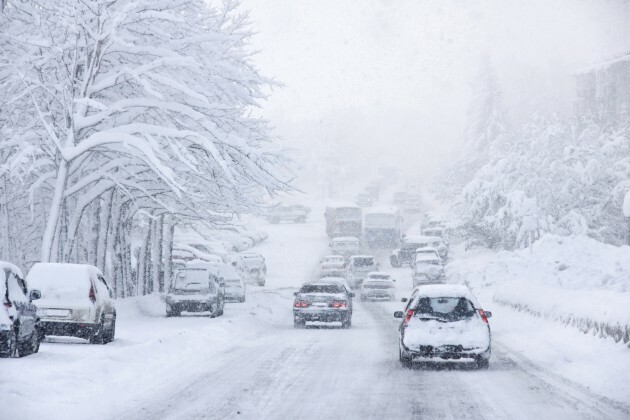 Beginning January 23, a powerful winter storm swept across the Great Plains into the northeast, bringing high winds and exceptionally heavy snow, producing whiteout conditions along the densely populated areas of the I-95 corridor. Many roads, including a 300-mile stretch of I-95, were shut down at the height of the storm. The northeast was brought to a standstill. Some areas of Massachusetts got 36″ of snow. Worcester got 34.5″, its most ever for one storm. Boston got nearly 25″ and most areas of eastern Long Island and New England got at least two feet. New York City, however, despite dire forecasts, escaped with just 10″, leading to criticism of forecasters and government officials after Governor Cuomo ordered the New York subway system shut down, the first time that had ever been done for snow. Meanwhile, huge waves were pounding the New England shoreline. Some areas of coastal Massachusetts saw major flooding. Numerous water rescues took place in Scituate, with some people having to be airlifted to safety. An eighty foot section of seawall at Marshfield was washed away. Thousands of people were without power for days, including the entire island of Nantucket. And that was just the beginning. 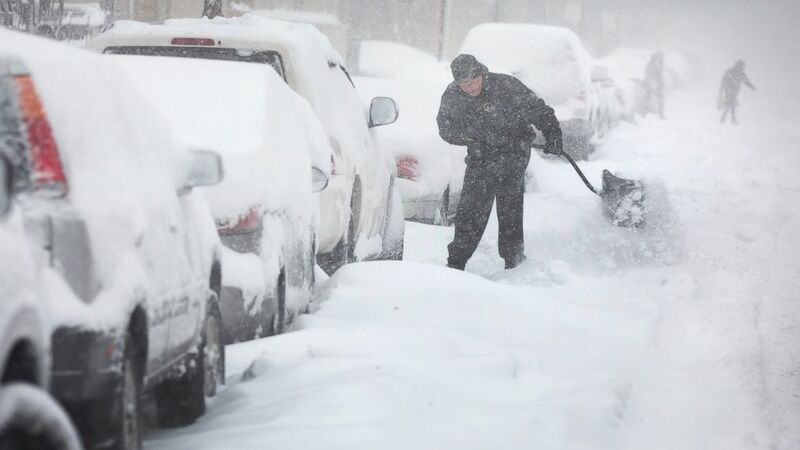 The February 1 storm buried Chicago in over a foot and a half of snow. As soon as the January storm ended, another one followed. This one first hammered Chicago with almost 20″ of snow with howling winds that brought even the famously snow-hardy city to a halt. Detroit saw its heaviest snowfall in 40 years, with almost 17″. Then the storm headed into the northeast, bringing yet more heavy snow. Boston got another 18″, delaying the New England Patriots’ Super Bowl parade and forcing schools to close yet again. Less than a week later, beleaguered Boston was hit yet again by another major snowstorm, it’s third in as many weeks. 22 more inches fell and Boston recorded a snow depth of 37 inches, the most snow the city has ever had on the ground at any one time. Over the preceding month, the city had received 72″ of snow, most of that over the previous three weeks. This included an astonishing 40″ over a seven day period in early February. That’s just seven fewer than Boston’s average annual total. Round four came over Valentine’s Day weekend as another large winter storm hammered a large portion of the Eastern US. The upper Midwest saw another round of heavy snow and another foot fell on Boston, with up to 22″ falling in some parts of Massachusetts. Roof collapses began to be reported due to the weight of the incredible accumulations on rooftops. This time, however, winter also plunged into the south. Nashville and surrounding areas of central Tennessee received significant icing while Kentucky, as well as portions of northeastern Tennessee and southwestern Virginia, were pounded by heavy snow. Lexington got 9″ and some parts of Kentucky got over a foot. Lower amounts fell in the mid-Atlantic states, with DC picking up about 4″. The February 25 snowstorm produced near-whiteout conditions and heavy snow accumulations across northern Alabama, north-central Mississippi, and northern Georgia. After that three-week onslaught, the northeast got a break as Mother Nature turned its attention to the south. A week after the Valentine’s weekend event, another major winter storm struck the south. This one brought heavy snow from southern Arkansas through portions of the Carolinas from February 24-26, with widespread totals of 4-8″. Northern Alabama in particular was clobbered with up to a foot of snow in some areas between Birmingham and Huntsville. Huntsville got 8″. Parts of north Georgia got as much as 10″ with widespread areas of 5-7″. Areas of North Carolina got up to 8″. The historic March snowstorm buried Kentucky freeways and stranded hundreds of motorists for hours. 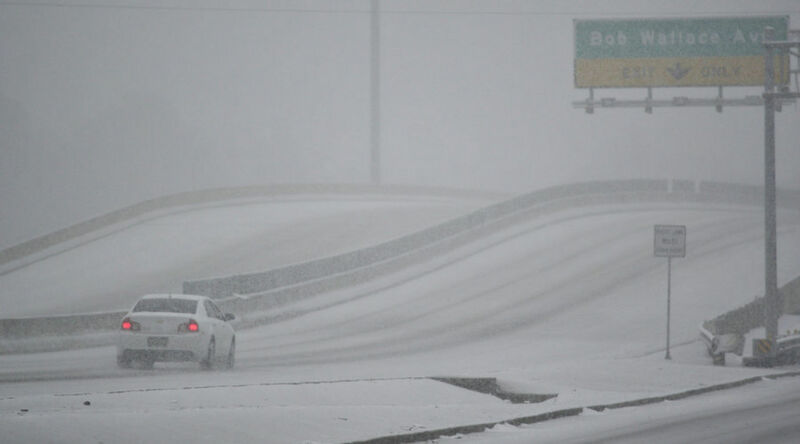 The very next week, yet another winter storm blitzed the mid-South. It began in Texas on March 4, dropping over 3″ on the Dallas Metroplex. Surging northeast, the storm brought moderate snow mixed with some sleet and freezing rain to much of Arkansas. 4-6″ fell across much of Arkansas and western Tennessee. Then the storm moved into Kentucky, where it absolutely exploded. An axis of high wind shear developed, generating strong convection within the snow bands and intensifying the snowfall dramatically. Sections of central Kentucky were hammered with accumulations well into the teens. Elizabethtown was buried by an astonishing two feet of snow. Roof collapses were reported. Lexington smashed its single-storm total snowfall record with 17″. The intensity of this convection was not well anticipated, with initial forecasts projecting a foot of snow at most even at event onset. The storm continued eastward, bringing more heavy snow to West Virginia and moderate snow to Virginia and DC. About 9″ fell at Dulles Airport and 4-6″ fell in the District proper. The snow reached as far north as New York, where 4-6″ fell. Boston escaped significant snowfall. However, a brief snow event on March 15 pushed Boston’s season total to 108.6″, toppling the previous record set in 1996 (107.6″). Winter appears to have finally released the country from its icy grip and spring is on the horizon, but this winter, particularly the astonishing six weeks between January 26 and March 6, will live long in the memory of many, particularly Bostonians. As much of the country thaws out and melting gets into full swing, one can only wonder what severe weather season has in store for us. This entry was posted in Uncategorized and tagged snow, weather, winter. Bookmark the permalink.